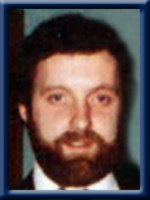 Hatt, Richard Clare, 56, of Port Medway, Queens County, passed away suddenly on Thursday, July 18th 2013. He was predeceased by his father, Lorraine ‘Bubby’ Hatt. He is survived by his daughter, Lindsey Hatt, his mother, Freda Hatt, brothers, Gary (Dottie) Hatt, Lawrence (Cathy) Hatt, Darren (Brenda) Hatt, and sisters Gail (Rickey) Joudrey, and Fran (Larry) Baker. A graveside service will be held for family. A reception will be held Thursday, July 25th, 2013 at 11:30 a.m. at the Mill Village Fire Hall for family and friends. I am so sorry to read of Rick’s passing.I have fond remembrances of him at Mill Village school. You know how much “Daddy” Ricky means to me. And I can truly say that he will never be forgotten . My heart breaks along with the rest of you. I am so very sorry.Our prayers are with you at this most sad time. So sorry for your loss. My prayers are with you at this sad time. Dear Lindsey and all the Hatt family: My sincere sympathy on the sudden loss of your dear father, son,and brother. May the God of all comfort be your Comforter at this sad time. I was saddened to hear of Ricky’s sudden passing. We went to school together so I have known him a long time. It is never an easy time when you lose a loved one and even harder when it is so sudden but comfort yourself with all the good memories. The untimely passing of Rickie was a shock to say the least,as I watched him take his walk every night.He was well liked by all who knew him,and will surely be missed.Just another one of life’s cruel tactics.May God be with you all at this time. Sorry for your loss he will greatly missed by all. Lindsey & family,so sorry to hear of Ricky’s passing.Keep him close in your heart & let the memories keep him closer.In my thoughts & prayers. My sincere sympathy to Lindsey, Freda and all members of Ricky’s family. To lose a loved one so suddenly is a shock to all and will be felt for a long time. He was well liked and respected by all who knew him. My thoughts and prayers are with all of you. With deepest sympathy. Our thoughts are with you during this time of sorrow, along with our wishes that the memories of Ricky bring you peace, strength and comfort. Thinking of you all. Daughter Lindsey, Mom Freda and his Sisters, Brothers and Charlene. We are so sorry to hear of Ricky’s passing. Our thoughts and prayers are with the family at this sad time in life.Ricky was my cousin and next door neighbor and as kids we played together pretty much every day until his family moved to Mill Village. Ricky and i worked at Michelin at the same time and in the later years we would set on the bench in the locker room many times and eat our dinner together and talk about retirement and other things. Ricky’s life was taken away to young and send to heaven. I worked with Rick for many years before I retired in March. Im so sorry to hear of his passing. He was a great guy to work with. He always made me laugh. He will be missed by everyone he ever worked with. My thoughts and prayers are with you. So very sorry for your sad loss, please except our sincere condolences. Take care. To all the Hatt Family: Our deepest sympathy to you on the sudden passing of your loved one Rickey. We will keep you in our prayers during your sad days ahead. Dear Lindsey; We were shocked and saddened to hear of your Dad’s passing. Our love, sympathy and prayers are with you. To Freda and family; Our deepest sympathy to you all. We’re so sorry for the sudden loss of your Dad. It’s such a hard thing to go through. Our thoughts and prayers are with you and all of Ricky’s family. We are very, very sorry for the sudden loss of Ricky. He was such a nice man. Our thoughts & prayers are with you at this difficult time. To Darren,Brenda and family; We offer our deepest condolences ,, our prayers and thoughts are with you all at this sad time. Scott and I are so sorry to have heard about Ricky. We are thinking about you all during this difficult and sad time. I am so sorry to hear of Ricky’s sudden passing. He was taken from you, Lindsey and the rest of his family and friends way too soon. I grew up with Ricky and will miss his quiet grin. He will be sadly missed but fondly remembered by all that knew him. I am very sorry to hear of Rickys sudden passing. May god be with you all at this sad time , my thoughts and prayers are with you all. TO MOM FREDA, SISTER’S AND FAMILY’S, BROTHER’S AND FAMILY’S SO SORRY TO HEAR OF YOUR LOSS. thoughts and prayers go out to rickey;s mom Freda, sisters and family , brother’s and family’s and his daughter so sorry to hear of your loss. To the Family of the late Ricky Hatt: Sorry for your loss and prayers are with you. To Lindsey and all of the Hatt family. We are sorry to hear of your father, son and brother’s passing. Please except our condolences. We were so sorry to hear of Ricky’s passing. Even though we hadn’t seen him for some years, we feel the sorrow of the loss. I was shocked when I heard of Cousin Ricky”s passing and my thoughts go out to each and every one of you. Lindsey be comforted that he is alright where he may be and remember he will live on in our memories. If you need to talk , just message me or I’ll call you at your Mom’s. We are all very saddened to hear of your loss. We are all thinking of you.